Are you looking for directions to your next game? Look no further. You can easily find directions to your next game by going to your team's website. Once you are on your team website then click on either Schedule or Fields. Click on the name of the Location you want directions to. The Schedule page will take you to a list of all of your games so that you can find the game that you are looking for and then you can click on the name of the Location that you are playing at. This will take you to the corresponding field page for that location. You can then click on the large image of the map to be taken directly to Google Maps where you can find directions to the field. 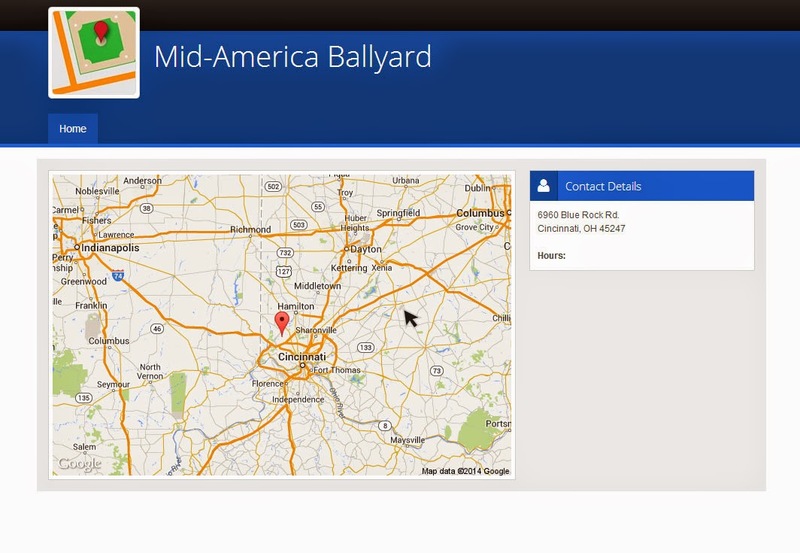 Field page for Mid-America Ballyard - Click on the Map to be taken to Google Maps for directions. The other place that you can find directions is on the team's "Fields" page. When you click on Fields on your team website then you will see a list of all the fields that your team is playing at for the current season. Once again you can click on the name of the field to be taken to the corresponding field page. Click on the name of the field to be taken to the field page. And that's it. Now, you can find directions to your game's locations. Good luck teams!